The FDA approval of Latuda for bipolar depression treatment is a big deal! Why? Because until now, the only FDA approved bipolar depression medications were lithium and Seroquel (quetiapine), both of which are associated with significant complications. So is Latuda any better? There is no definitive answer as to whether or not Latuda is really a “better” bipolar depression medication. Latuda for bipolar treatment is very welcome simply because most people with bipolar disorder spend far more time being depressed than manic, yet effective bipolar depression treatments are so few. Until Latuda burst on the scene in 2013, the only options were the mood stabilizers lithium, Depakote and Lamictal, and the antipsychotic Seroquel. Tragically, many people were (and still are!!) treated with antidepressants such as SSRI style meds like Prozac and Zoloft. The SSRIs are NOT effective for bipolar depression and can trigger mania, making someone with bipolar even sicker. Bipolar medications almost without exception cause weight gain. Any drug that effectively treats bipolar disorder WITHOUT causing weight gain is going to create a lot of excitement. The notion that Latuda is weight neutral was a big factor in Latuda’s successful debut. But do the claims about Latuda and weight gain hold up? Latuda has NOT been found to be weight neutral. 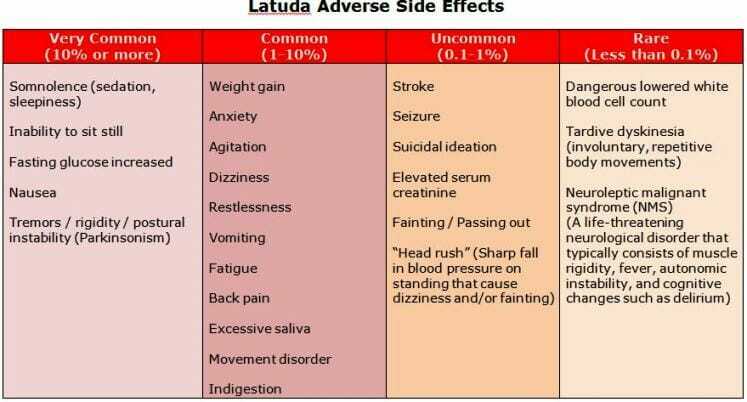 The reality is that weight gain is clearly listed, even by the manufacturer, as a Latuda side effect. On the other hand, the studies have shown that Latuda tends to lead to LESS weight gain that the other atypical antipsychotics. The biggest problem with using antipsychotics to treat bipolar disorder is that this entire class of drugs is associated with SUBSTANTIAL weight gain and associated problems, such as elevating cholesterol and blood sugar. People with bipolar disorder are ALREADY at a dramatically increased risk of premature death from heart disease and diabetes. This creates a terrible paradox where physical health is sacrificed for mental health. It is not, as some insensitive medical practitioners suggest, simply a case of choosing to be “fat but happy” or “fat but sane” as the weight gain too often leads to premature death and/or severely compromised quality of life. However, using Latuda for bipolar is definitely associated with LESS weight gain. Most people in trials did not gain weight, and those that did gained only around 7% of body weight. So a woman weighing around 130 lbs may go up to around 140 lbs. This is A LOT better than the 30, 40 or eevn 50 lb weight gain that can happen with Seroquel or Zyprexa! In its clinical drug trials, 6% of people discontinued Latuda. In other words, one person in every 16-17 stopped taking the medication. At first glance, this sounds like a high number. It is easy to deduce these people quit Latuda because of unpleasant side effects. However, in these same trials, 5% of the people taking the placebo (a sugar pill participants thought was Latuda but was really a completely inactive control) also quit. This means that only 1% more discontinued Latuda. This is actually a low rate. Combined with the other drug trial results, researchers have been able to say with consistency and certainty that Latuda is a well tolerated drug with milder side effects than usual for an atypical antipsychotic. Remember, Latuda can be used on its own to treat bipolar depression as what is know as MONOtherapy, or it can be taken along with another medication such as lithium or Depakote as an add-on (adjunctive) therapy. Because lithium use involves constant monitoring and can be difficult to tolerate long term, switching from lithium to Latuda alone may be appealing to some patients. Just keep in mind that the FDA has NOT approved Latuda as a treatment for bipolar mania or as a bipolar maintenance treatment. Approving Latuda for bipolar depression was as far as the FDA would go. 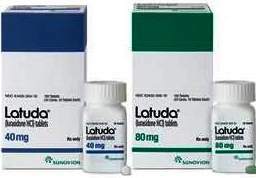 Some countries such as the UK, Australia and most of Europe have yet to give ANY approvals for Latuda. In summary, switching from lithium to Latuda would be an experiment that should only be carried out with a doctor’s approval and only under that doctor’s close supervision. It would be particularly important to monitor for mania and anyone witha history of serious manic episodes would probably only want to use Latuda as an add-on to a mood stabilizer, not as a substitute. Should YOU try Latuda for bipolar? Anxiety is one of the most common side effects of Latuda and as I have panic disorder I am very reluctant to to use any medication that promotes anxiety. I have had to work very hard to manage my weight and bring down my cholesterol and blood sugar. I am genetically predisposed to diabetes and heart disease and do not want to add to this risk with a medication with these known side effects. My existing medications are currently working very well for me. My previous trials of atypical antipsychotics have NOT gone well. BUT EVERYONE IS DIFFERENT! For example, if you do not have anxiety problems or a high risk of heart disease, or if you have not yet found a good fit with another medication, your calculations will be very different from my own. The point is that there is no definitive answer as to whether or not Latuda could be your best bet as a bipolar medication. You can learn more about Latuda as a bipolar medication here. I have a panic disorder, combined with bipolar II, and was recently prescribed Latuda after failed SSRI attempts over the years. I have only been on it a few days, and I do know that anxiety is a common side effect, BUT my psychiatrist said that in the long term, Latuda will actually HELP with the anxiety and panic. I’ll let you know if that’s how it works out! I’d love to know what your out come was. I hope you recieve this msg ? Looking for any updates from you, please!? I just started taking Latuda and have only taken half of a 20mg tablet twice. I have GAD and woke up today with high anxiety – even after taking my regular dose of buspar the night before. Would love to know if (and hope) the anxiety will decrease! Latuda has been quite effective for me however even with Medicare insurance it cost me over $400.00 per month. 30 40mg tablets ! Truly an outrage that this country allows pharmaceutical co.s to gouge us this way. Canada pharmacies have it available for under $250.00 without insurance. Still way too high! I received some discount cards from my doc that were provided by the manufacturer. My first month supply did not cost anything (I have some obamacare drug coverage, also). I expect that the next two months will also be free of out-of-pocket, but the next months may require me to pay a little more than $100 each month. If your doc can not provide these cards to you, I suggest you contact the manufacturer through their web site. I shop at Walgreens, have TriCare Young Adult, and pay ~$30/month for 40 mg. Previously, I was uninsured, taking Abilify, which cost $600, so I quit medication until I was insured again. I am on Latuda and it works for my depression. However, I am shocked to learn that it does not treat mania, as I specifically asked my doctor about that during my last visit. I informed him that I needed something to treat mania since my understanding was that Latuda does not. He assured me it treated mania as well. I get a symptom that I call ‘brain itch”. It feels as though my head were tingling. And my manic episodes have been not-so-great for my wallet and well-being. My doctor either lied to me or does not know the medication he has prescribed for me. Have your doctor request a tier exception. They will deny the first time, so appeal the decision. More than likely you’ll get the tier exception. My doctor did this I pay $31 a month. I cant believe the health care system you guys have. We have medicare in Australia where everyone pays an extra 1.5% on their income tax and our hospitals and doctors and medicines are pretty much covered. i have been on Lamactil for many years as well as Pristiq but the Doctor thought Latuda might be worth a try for anxiety cost $37. So I have been researching it. I think I will give it a try – Sorry you guys have to pay so much for help! Hey Roger, I’m in Australia and had to pay $75 for one box. Where abouts can you get them for $35?? Also, I took 1/2 tablet last night and experienced six hours of anxiety before only falling to sleep because I took an Amiltryptaline. I wonder if anyone else knows if this anxiety will go away? Gabapentin is a highly habit forming drug with horrible side effects. Withdrawl from gabapentin can be a lot worse than withdrawl from benzodiazapine. I strongly recommend doing research on gabapenton withdrawl before using it. I know of many people that have been hospitalized with suicidal ideation as a result of gabapentin withdrawal. That is 100% false. Gabapentin creates both physical and mental dependency. Because Doctors are just figuring out that it has such a high potential for abuse it will soon be a scheduled drug. It was meant for nerve pain so while it may work for some of the physical side effects of anxiety it isn’t a good fit and there are way more suitable things out there. I am familiar with off label prescribing but taking gabapentin aka “johnnys” for anxiety would be like taking some Percocet for anxiety because it makes you feel relaxed. Hi I am diagnosed as Bi-Polar II, but I’m really Borderline personality disorder, regardless, I’m switching back from Rexulti to Latuda. Although Latuda, did nothing for my depression and my psychosis is under better control with Rexulti also, the weight gain is not tolerated well by myself. Latuda caused no significant weight gain but with only 1 mg of Rexulti, I’m unable to maintain, my weight just stays. They have a $15/MONTH card. OMG, Latuda was awful. I was itchy all over. I don’t understand why it’s not listed as a side effect. I also could not sleep. It made me more manic. I am currently only on day 2 of Latuda and was also feeling itchy all over and well.. Here I am wanting to sleep but can’t.. I am going into mania… I can just feel it.. So now what? Any updates? They have many medications for the akathisia which is clearly listed as a side effect, completely does away with it and is dirt cheap. Should’ve asked your doc. I gained thirty lbs and it won’t come off. It also triggers my panic attacks. It has helped my mood significantly. Just started Latuda last night at 9pm. 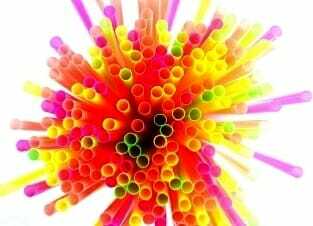 Since about 1030am today, I am experiencing a severe headache, slight confusion, and nausea. I have bp depression along with severe anxiety. I feel panicky. I’m waiting on Dr to call me back. So far, I do NOT like this drug. I have been on Latuda and for me it feels like a wonder drug. I was on Tegretol for the last five years, which kept me stable but did nothing for depression. I do have psychotic features with my manic episodes, so that part of Latuda makes me feel safer, in that the most disturbing part of this illness for me is the psychosis. I have shed the 5 lbs that I put on over the winter and I have minimal side effects, if any, so far. No anxiety and I did experience anxiety and bad panic attacks while taking Abilify. So once again, I see that each person responds differently to different medications. The only complaint I have is the outrageous cost of this medication. I agree. My cost is 1200.00!!!!! did you take the abilify at the same time as latuda ? or did you wein off the abilify? I’ve been taking 20 mg of Latuda for 8 days. I’m also on 60 mg of Prozac ( was taking 40 mg for years. )Have been taking Wellbutrin for a few months. Started out at 100 mg and now I’m taking 150 mg. I can honestly say that I feel less depressed and not anxious. I think they finally have me on the right combination of meds. So far I am happy with how I am feeling and in general feel more active. I am bipolar and experience panic attacks. Those have been under control with Prozac for years now. I suggest some of you tell your Psychiatrist about these 3 meds together. I feel confident that I am going to get better. Bless and good vibes to all that have these debilitating symptoms. i have been on latuda for about a year I have maniac bipolar and do not sleep, have gained 20 pounds and it won’t come off, however i am calmer and not so prone to go off the deep end and stupid stuff. The only time i had anxiety was when my father died, who wouldn’t? BEING ABLE TO SLEEP IS UNBELIEVABLE. I am liking this drug. don’t like the weight thing but ill figure something out. I have been on Latuda for bipolar II for around 8 months now. It has seemingly worked well and let me come off the Risperidone I was on, plus gotten rid of Zoloft. But, I have just moved back to the UK after a long time in Canada, and the doctors have said they are not allowed to prescribe it for bipolar. I have no idea what is going to happen now as I run out of the medication very soon. I wanted to update my experience with Latuda after 7 months. My depression is mostly gone . In fact I think my mood is basically normal. I take 40 mg at each night . Side effects have been acceptable with perhaps a little extra anxiety but not really a problem. Also I don’t sleep as much as I would like but again not really a big problem. I found a pharmacy in Canada where I buy my Latuda for $150.00 for 30 tablets 40 mg no shipping charges. Also my psychiatrist has provided a 2 month supply so my expense has been quite low. No weight gain. Overall this meditation has been a life changer. I have been on Latuda for 2 years. It has helped my bipolar depression immensely. I still have days I am depressed but I have had no major depressive episodes. This medicine has been a game changer. I tried Seroquel and Lamictal before Latuda and didn’t have any luck there. I have gained some weight but having my sanity is totally worth it. Bipolar I. I started Latuda (20mg) about 2 weeks ago. I upped the dosage to 40mg a few days ago per my pdoc’s recommendation. So far, it seems like it helps with my general mood (although I still have “episodes”, usually mixed state). Unfortunately, it also makes me very drowsy and restless. I could live with the drowsiness (I often have trouble getting to sleep anyway), but the restlessness is untenable. I literally can’t keep my eyes open, yet can’t sit or lie still long enough to go to sleep, so I end up pacing around for a couple hours until I finally just collapse. I had a similar experience with Abilify (restlessness, not drowsiness). I’m hoping this is a temporary adjustment period, but if it doesn’t improve I’ll likely have to ditch this med too. Just as a datapoint, my copay was only $80 for a month’s supply of the 20mg pills. Latuda is the BEST medication I have ever tried and has done wonders for my bipolar depression. I take 30 mg (using a pill cutter on a 40 mg tablet). The 40 mg was too much and started to cause an internal agitation/restlessness an hour after taking my nightly dose. This side effect started to become too much to deal with on the 40 mg. The 30 mg dose seems ideal and avoids the internal restlessness/agitation feeling while still maintaining all its benefits. This has been a miracle pill for me and has not resulted in any weight gain whatsoever. I did initially have some nausea when I first started it but it quickly went away after about a week. I also want everyone to know that I would occasionally use CBD to deal with irritability before I was on Latuda. I had tried the CBD with the Latuda and found that it INCREASED the internal agitated/restlessness feeling. This is because CBD effectively increases the blood levels of Latuda by inhibiting the liver enzymes which metabolize Latuda. Taking CBD EFFECTIVELY INCREASES THE DOSE OF LATUDA THAT YOU ARE TAKING AND HENCE THE SIDE EFFECTS AS WELL via this mechanism, something everyone should know about. If you use CBD, YOU MUST adjust the dose of Latuda accordingly. Akathisia(inner sense of restlessness) can be taken care of with an incredibly cheap med, ask your doc about adding one of several different types of medicines to eliminate that. I use Cogentin myself as it wears off quickly and my akathisia is only after I take 80mg latuda at night. In the morning it’s gone for the rest of the day. Nausea should you have it can be resolved with zofran. Yes latuda is worth needing the coping meds which to be honest you’d need more for Vraylar or risperidone anyways so latuda is better imho as the motor and cognitive side effects are less. I am taking Latuda 20mg for over 2 weeks and so far my results have been amazing! I was diagnosed Bipolar II and i am not taking anything else along side Latuda. I know 20 mg is the low dose but i am very sensitive to substances so i wanted to keep it low even when my doctor suggested boosting it to 40mg. Anyway, my depression is ALMOST non existent already, i still experience hypomania but it doesnt last as long as it used to. I’ve been getting a better sleep because i am able to sleep and for the most part stay asleep. My anxiety has reduced a lot. I feel like i can think more clearly and my emotions aren’t so all over the place, everything seems stable enough to function like a normal person! The down sides of course is i get fidgety and restless and my muscles are tense. I have been on Latuda, 20mg, for Bipolar II for almost a year. I also have anxiety and panic attacks. First couple of months were rough figuring out the dosage that worked best. At one point I was on 60mg. The worst side effect I noticed was extreme, uncontrollable irritability. Not like me at all. At 20mg I can maintain stability without the irritability. I did complain after about 5 months that I felt very flat-i was missing true joy and excitement. My doc put me on 20mg of Vyvanse and that with the Latuda works well for me. My doctor gave me 40mg of latuda & I haven’t taken it yet. I’ve been taking serequel for about 8 months & at first it worked but made me super drowsy. Now that it’s in my system it doesn’t work as great. I’ve gained a lot of weight from serequel as well. I have severe anxiety & I have awful panic attacks. I wonder if Latuda could maybe stop all that? Or atleast calm me down. I haven’t taken it yet because I hate taking medicine & I’m always afraid of allergic reactions & dying from it. I worry way to much. If anyone could give me an honest opinion on the medicine that would be great. Bipolar depression my whole life. I am 63. With age, my condition got worse. Different drugs came and went some were successful, for awhile. Then 2 years ago my doctor put me on 40 MG a day. My life has changed.i am so grateful for Latuda. Not 1 depressive episode since. I have been on 120mg of Latuda for at least 3 years (? not exactly sure). I’m Bipolar II. I love it, compared to Geodon, which I was on for about 7 years (since diagnosis). Geodon worked on my psychosis, except I had horrible insomnia on it, and when I did sleep, I had a hard time waking up. So my pdoc switched me to Latuda (which I guess was new at the time). Now I sleep great. Neither med worked very well on depression, so I take 150mg bupropion XL with the Latuda. I have gained a significant amount of weight in the years since diagnosis, while taking both meds. I never made the connection, I really blamed it on overeating because of depression? I just recently switched to a plant-based diet and have already lost some weight. I don’t really have a lot of noticeable side effects from Latuda: I get nauseous if I don’t take it with enough carbs, or take it with too much sugar. I have leg restlessness, mostly at night. Sometimes when I take it it knocks me out (but Geodon did that, too). Overall I like Latuda a lot and don’t have many complaints. I used to pay $50 a month with insurance, but now I have a coupon (Google “latuda manufacturer’s coupon”) and I pay about $15. If you don’t have insurance at all, google “latuda patient assistance” and go to the Sunovion site and download and fill out the form, attach your tax returns if you have income, and give it to your pdoc. They’ll send it in. I did this with Geodon before it was generic and I did this with Latuda when I got laid off earlier this year. I have been taking Latuda 20 mg for almost 1 month. I see no improvement. I actually feel more depressed. I am bipolar without mania. How much longer should I keep trying? I loved latuda. I felt truly the best I ever have while taking it. I did not feel like it weighed me down like the other medications I had taken. I had been on any and all of the common medications for bipolar disorder oh, and none worked as well as Latuda. But unfortunately I had to stop taking it. Even with my insurance oh, after the initial discounts ran out, I was paying almost $600 a month. I just physically could not afford to pay for the medication. I keep waiting for a generic version to hit the market so it is less expensive, and I I will absolutely be switching back. Latuda immediately ‘cured’ my sense of doom and despair that goes with my bi-polar depression. 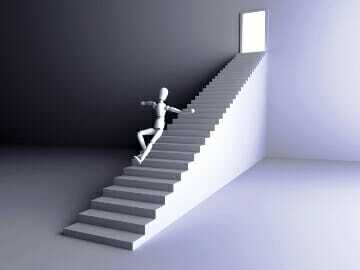 I’d been on so many other anti-depressants which didn’t do anything, I was blown away by the immediacy of the effect. I’ve had some recurrence of symptoms but the intensity of them is reduced. I did one day become so fatigued mid-day I didn’t think I could safely drive my car home from shopping. I may have taken my dose without food so I am careful now not to do that. That only happened once. I discontinued for several weeks because of the fatigue and I thought I was getting too anxious, but went back on when the doom and despair returned. Again, instant relief from those symptoms. I plan to stay on the drug for awhile and see if it continues to work. Nothing else has. I have been on Latuda for 3 years. I have taken a 80 mg dose each night. I have gained 80 lbs and experience nausea. When I first started taking it I was told to take it in the morning. In which I would fall asleep all day or be a zombie. Taking it at night has been awesome. Only nausea if I don’t fall asleep fast enough. My mania and depression were great. No suicidal depression since 2015 which is a huge deal since I had been suicidal since 5th grade when I wasn’t manic. Lately my happy mania is back which I am not crazy about but I can handle. Only problem is that I have doubts about my marriage more now but that comes with my mania. The grass is always greener. Overall I have been really happy on Latuda but I’m questioning if my dose is too high. My first doctor kept increasing the dosage when I started out. Now I’m debating asking my new doctor to lower the dosage. Has anyone experienced high pregnancy levels while on Latuda? I was told multiple times that I may be pregnant by my psychiatrist but I never was.